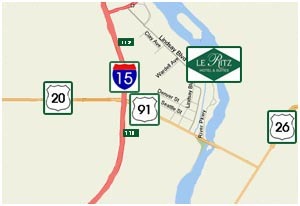 The Le Ritz is a short distance from the airport. on N. Skyline Drive toward Federal Way. Turn left onto Grandview Drive. Take the Lindsay Blvd exit. Turn left onto Lindsay Blvd. 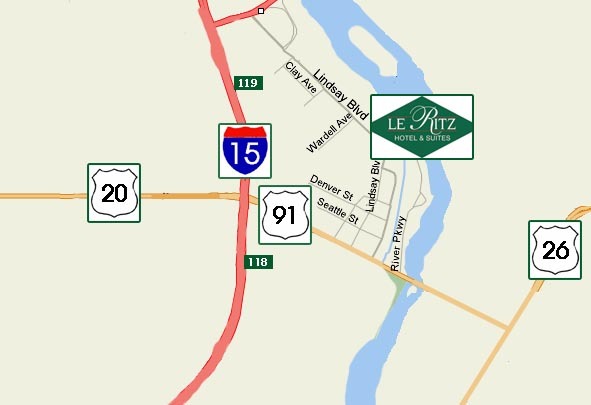 Click here to find driving directions from where you are!